吃喝玩乐花果山 (Eat, Drink and be Merry on Mount Huaguo), ANTZ. Image courtesy of the artist. 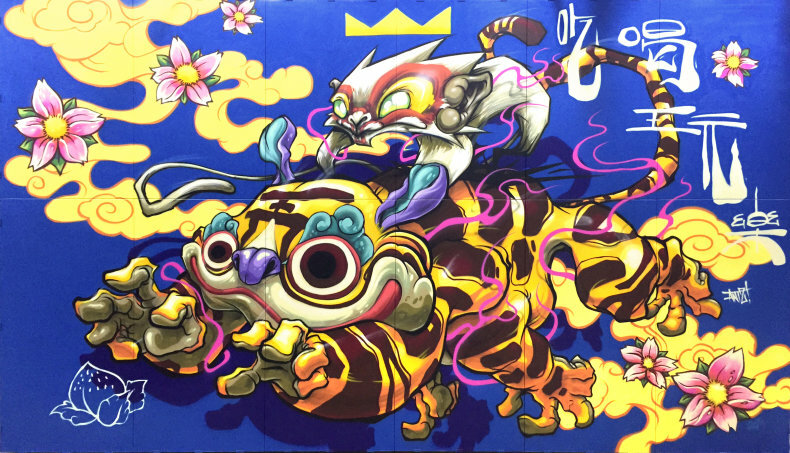 Discover the inner artist in you as you explore spray painting with local urban artist ANTZ! Learn how he creates contemporary artwork based on traditional Chinese themes and visuals.